Apple sold 9 million iPhones over the weekend, a record for the company. 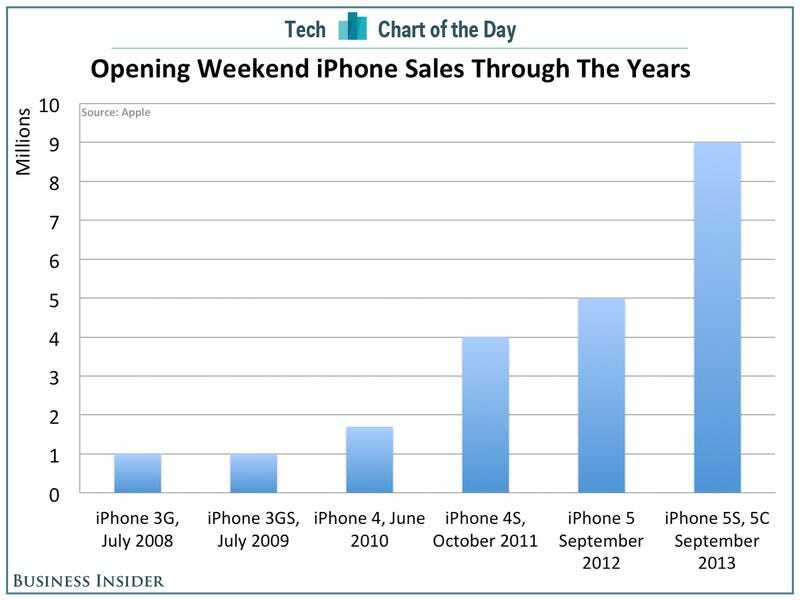 To put it in context, we’ve charted out the company’s opening weekend sales since the iPhone 3G, which is the first time it announced opening weekend sales. The big change for Apple this year was the introduction of the iPhone 5C, a colorful, plastic-cased iPhone. Apple didn’t break out what portion of iPhone sales were 5C, and what portion were 5S. 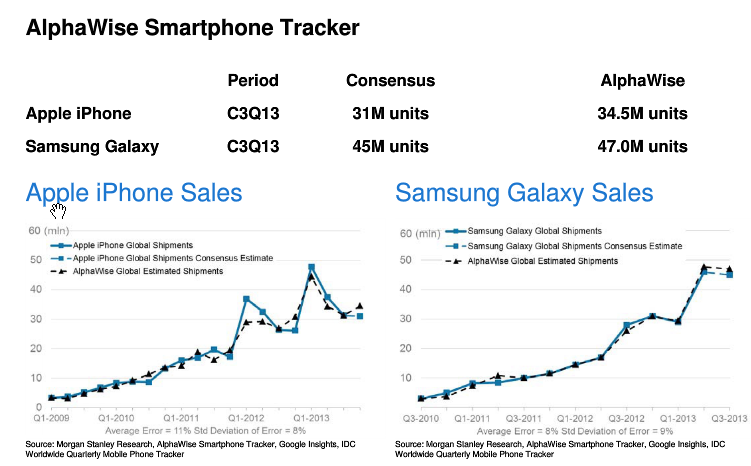 It seems likely the new 5C model boosted sales. With the new iPhone 5S smartphone, Apple has doubled down on the areas of mobile with proven revenue-generation potential, for itself and app developers: payments, commerce, games, and photography. As part of our quarterly update of major mobile industry trends, BI Intelligence took a first look at how the 5S and its new camera and fingerprint scanner might revolutionize several of the most lucrative mobile categories. 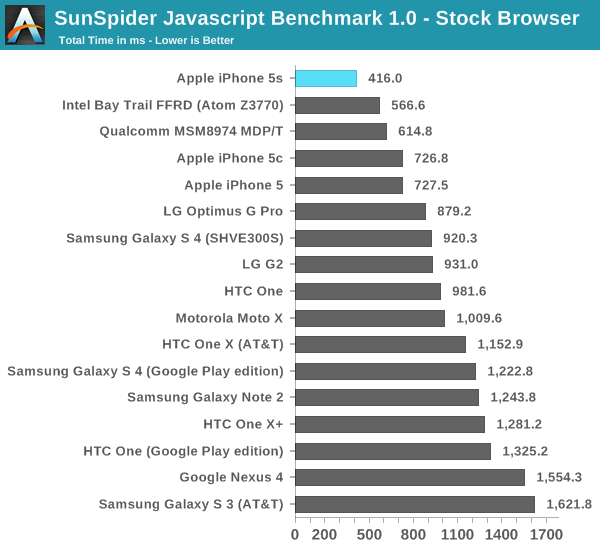 The iPhone 5S will be a bellwether for the mobile industry’s future. Currently, Touch ID will allow a user to authorize iTunes purchases with a quick scan of their thumb, instead of having to type in their password. 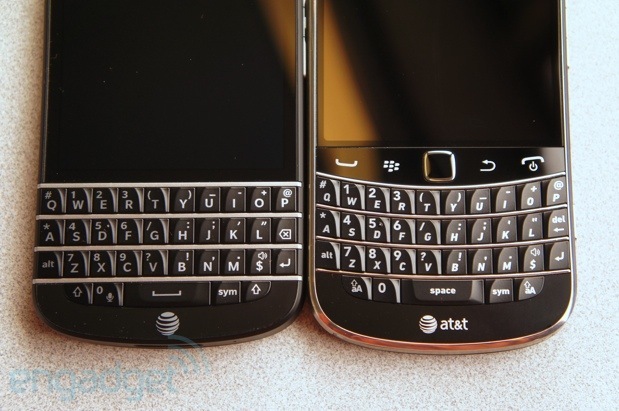 It will also unlock the home screen. Mobile commerce: But retailers want much more. The hope is for App! le to op en up the fingerprint scan technology so that it can be used for smoothing in-app purchases and e-commerce transactions. Mobile payments: The same technology can power the use of mobile devices for “walletless” payments at bricks-and-mortar offline retail outlets. Add this to the industry-leading 435 million user credit cards Apple has on file (as well as its Passbook digital wallet app), and the 5S could act as a bridge for taking mobile payments mainstream. Fitness and health tracking apps, as well as gesture-controlled mobile games (games are top app store money-makers). Photography. Improved lens and sensors are paired to Apple’s updated camera software on the 5S, creating an enhanced camera experience, including a stabilization feature, automatic editing of multiple rapid-fire exposures for a few great photos, and “dynamic to! 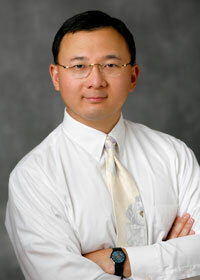 ne mappi ng,” which can adjust picture quality (i.e., brightness, exposure) on individual parts of the image. Let’s not forget that photography drives some of the most popular social networking and messaging apps (Facebook, Snapchat, Instagram, etc.). Photography is at the heart of the mobile consumer’s experience, and where they put a great deal of their time, money, and care. 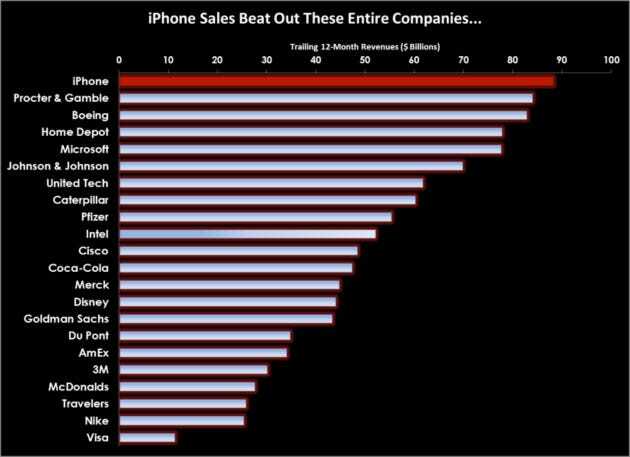 Apple’s iPhones hold their value better than any other company’s smartphones. 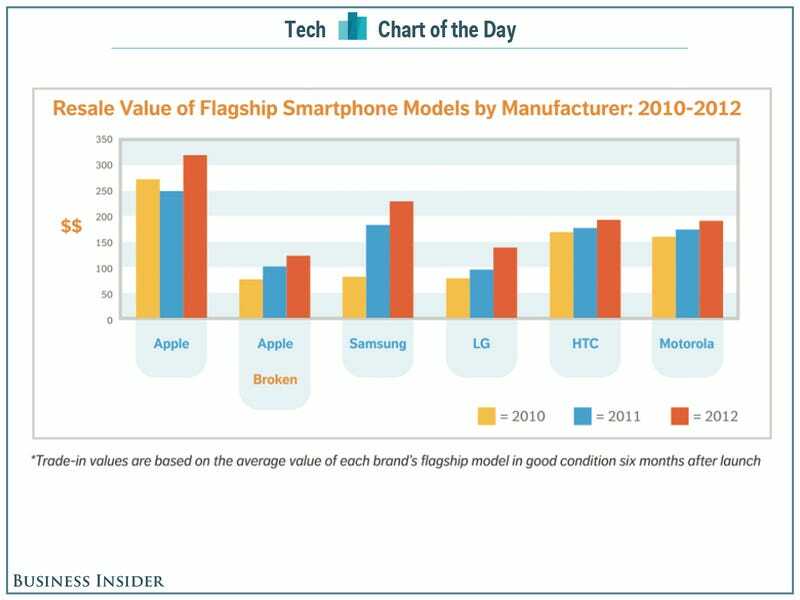 In fact, a busted iPhone is just as valuable as a used LG phone, according to this chart from Gazelle, via Gizmodo. 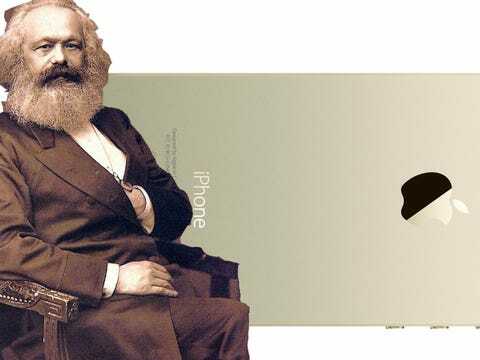 The global smartphone shipments share of handset makers, especially Chinese manufacturers, has been growing rapidly at the expense of Apple, and they’ve done so by undercutting the iPhone’s premium pricing with a barrage of low-cost handsets. Most of these cheaper handsets run Android, and because of that, Google’s platform has been increasingly asserting its will over Apple. 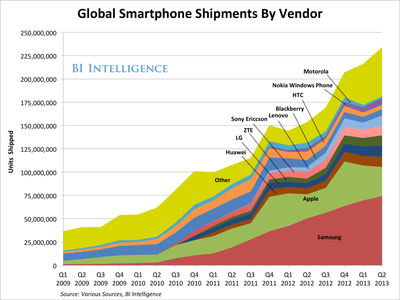 It now controls 80% of the global smartphone market. 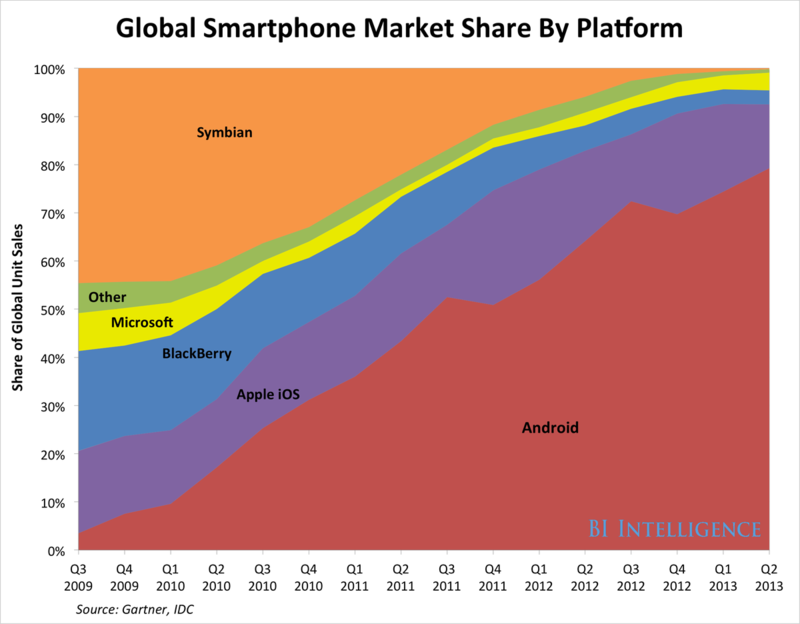 Meanwhile, Apple’s platform share keeps falling and is currently around 13%.